Finding the right flight crewmember to fill a vacancy is an arduous, costly process. Even after a lengthy search through dozens, or even hundreds, of candidates, it’s still an involved process: scheduling interviews, coordinating travel for candidates to/from the interviews, handling simulator evaluations and written tests, performing background checks, and so on. Paramount Aviation Resources Group understands the logistics involved in finding the right candidate. With all of the expense and time involved in finding just a single flight crewmember, it’s simply more cost effective to let the aviation professionals at Paramount Aviation Resources Group do the work for you. We will find you candidates that meet and exceed your criteria. Our pre-screening process helps to ensure that any flight crewmember that works for your company will be a good employee. We are aviation professionals with thousands of flight hours and decades of experience as line pilots, instructors, and managers at international, Part 121 air carriers. We know pilots. 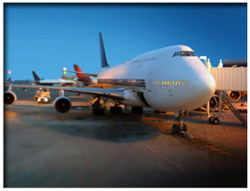 Our crew leasing services provide world class service and support at a cost effective price. While the crewmembers are trained and fly the line under your certificate, they are employed by us. This means we handle all of the administrative support functions: salary, taxes, healthcare benefits, insurance benefits, etc. You are not burdened with the expense or labor of handling these functions at all. This lowers your costs and reduces your workload. We stand behind our services 100%. This means we continually work to ensure that you are completely satisfied with our services as well as the performance of each and every flight crewmember on lease to you. We pledge to you our commitment that any area of concern will be addressed swiftly and to your complete satisfaction. Our exceptionally high level of business ethics means that we are honest, reliable, and professional. We want to establish a long term relationship with you. This is why Paramount Aviation Resources Group is dedicated to providing the best crew leasing and recruiting services in the aviation business. You have our word.